05/08/2017 Minister Saffioti told to make daps fair! Irrational approvals, thrown up by Western Australia’s unfair development assessment process, are again being challenged by two South Perth ratepayers. Under the former government, a 35-storey tower was approved in the Peninsula where the zoned height is only 8 storeys. South Perth Peninsula Action Group’s Vicki Redden says Karyl Nairn and Ric Hawley are once again, having to use their own funds to launch a costly judicial review into a decision by the Joint Development Assessment Panel to approve the tower block at 74 Mill Point Road. Court action is the only option to prevent this anomalous development since neither residents nor council can appeal flawed planning decisions to the State Administrative Tribunal (SAT). Because they are party to the initial application, developers can make repeated appeals to SAT over conditions they don't agree with. The Western Australian planning system does not allow third party appeals to SAT. Consequently, in this matter, ratepayers, Councils and affected residents are not afforded the same access to justice as developers. “Something is seriously wrong with a system where ratepayers have to police, at their own expense, the lawfulness of decisions of an unelected, unaccountable and poorly advised planning body,” Vicki says. “Most residents do not have the means to mount a judicial review but it is currently the only way to protect communities from long-term harm when JDAP misuses its extraordinary powers. We can't keep relying on altruism though, we need better and more cost-effective supervision of planning decisions." Ms Redden says JDAP's lack of depth of enquiry into the elements of planning has allowed developers to exploit the process, resulting in approvals for inappropriate developments which are out of step with community wishes and contrary to Council's wider vision for the area. The individual investors in these planned developments are as much the losers as the local residents – while developers continue to be allowed to lodge variation after variation of the approval conditions, to maximize profits, investors will never have the required certainty to understand exactly what they are getting into. As Mark McGowan declared in his victory night speech "We will govern in the best interests of ALL West Australians"
The South Perth Peninsula Action Group along with 50 other community action groups are calling on the new state government and Minister for Planning, Rita Saffioti to intervene and develop a more democratic and superior development assessment process. Even one of the most esteemed Property Lawyers called the planning situation in South Perth chaotic! We have 5 non-compliant, residential mega towers approved in South Perth, under a town planning scheme that describes medium rise development, and designed to bring employment. The reasons for the problem are the old council regime, and the "mates club" known as JDAPs - a government body who are known to be conflicted, are known to approve developments unlawfully, and are very biased in favour of developers. These panels have no accountability and the community is left with no equal rights to the law to appeal wrong decisions! What would you do to sort out this debacle and help protect the residents, landowners and business owners in South Perth? ​A decision by prominent Perth property developer Finbar to substantially scale back the size of its Civic Heart project in South Perth is a major victory for local residents, who have vigorously fought the proposal over the past two years. Above is the original marketing brochure showing the potential design for the site. Why are these trees suddently dying along Labouchere Rd and Bowman St in South Perth? The South Perth community were looking forward to an Iconic building on this central site, one that would bring new retail and entertainment and a sustainable amount of apartments. But with this level of high rise also comes significant traffic issues. More than 600 car bays are supplied in this building which equates to around 2400 car trips a day. The private entrance and exits are planned to be right on the Mill Point/Labouchere corner requiring the traffic coming off the freeway to turn right and go around the triangle to turn into the left-only entrance. This is how a new Civic Heart was presented to the community - 18 stories. If they had built that far more appropriate building, it would probably be near completion now and all sold. Today, there is a half sold building, that is struggling to start construction with no end date in sight. 28th JAn 2017 what is going on here? Early last year, residents of the building discovered the building at number 98 Mill Point Road would wall their balconies in, as it was being built right on the boundary, a situation that was an unfortunate and unintended consequence of the new planning scheme that has introduced high-rise to the location. We hope that the City of South Perth will publish the results of their investigation into the cause of this issue. It is very unfair on these residents who have already gone through enough as a result of being entombed. Now they've been flooded and evacuated from their property in the heart of South Perth. However, for additional height to be considered a more stringent set of performance-based design principles must now be met." Performance criteria introduced for such consideration above basic limits include consideration of whether a proposal exhibits exemplary design quality and contributes to the quality of the inner-urban environment being promoted within the precinct. "The modifications introduce improved measures to manage height and scale through design criteria and require a detailed assessment by a Council-nominated design review panel or suitably qualified consultants, to ensure proposals do not negatively impact adjoining properties and views to South Perth," the Minister said. If you are concerned about inappropriate high rise towers being approved in South Perth then you should give feedback on the Draft WADesign Guidelines by 20th Dec attached. There is a lot of reading and even a specific one on apartments, that is very interesting. Many of the items are what we have been advocating for 2 years. It is a worry that 'infill' is being used as an excuse by developers to build what they like and that is usually as big as can be approved on any site, no matter the cost. What happened to the past "new best thing" called decentralisation? 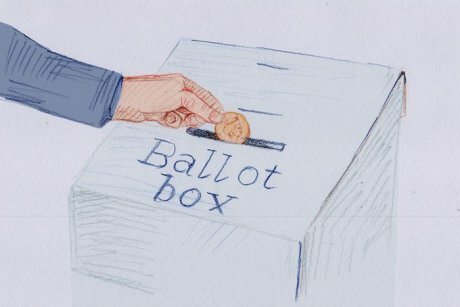 Property developers top the list of donors to political parties. No wonder these groups are those who are most listened to by politicians and public servants? Makes one wonder who is really pulling the strings in WA? Just the podium of this design is the same height as the buildings along Mill Point Rd - twice the height of what is in the regulations. The monstrosity proposed for the corner of Mill Point Rd and Labouchere Rds has been refused by JDAP in a 4/1 decision. Having a planning lawyer on the panel was a breathe of fresh air and should be a minimum requirement for each one of these huge proposals. Although the Aged Care and Child Care non-residential components sound altruistic this site is not the location for those uses, and along with a number of other reasons the DA was refused. Sadly this is not the end, the developer will go back to SAT and appeal the decision. If council or neighbours wanted to appeal a decision they only have the Supreme Court - that is not equal access to the law! The planning approval process is unfairly skewed in favour of developers, so twisted it looks like a pretzel. 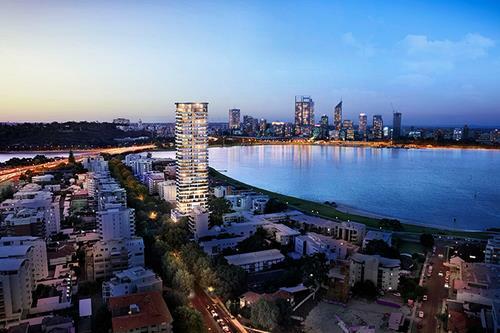 In an appalling display of ineptitude and planning chaos JDAP has approved a 35 storey tower at 74 Mill Point Rd on the South Perth Peninsula. This, the 5th version of the proposal was given a 26 storey (450%) discretionary bonus in height and will be the first ZERO set back along that beautiful avenue of trees leading down to the Old Mill. Coincidentally, the Minister for Planning announced yesterday, a new planning policy declaring new development must be sensitive to its existing neighbours. What a joke!! 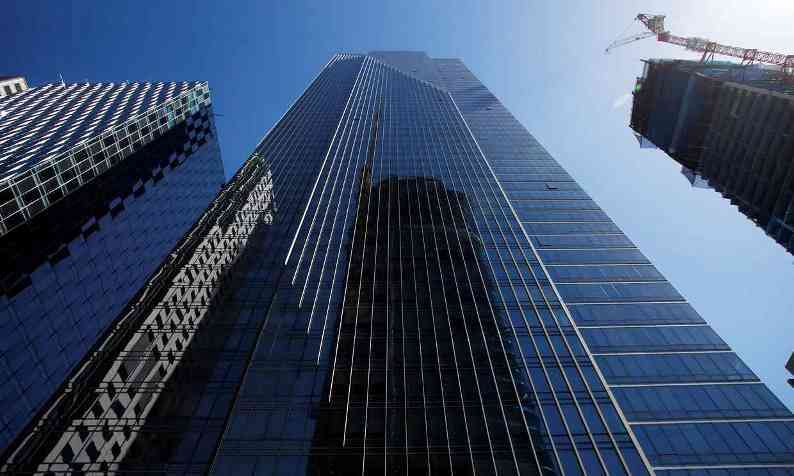 6th October 2016 ​This Millennium Tower in San Francisco has sunk 16" and tilted 2"
The second version of the 29 storey version was quashed by the Supreme Court, the 44 storey version was refused by JDAP. But, behind closed doors SAT has given Edge Visionary yet another chance at getting a monstrosity approved on the peninsula. And from the documents supplied, it appears that South Perth Planning has come to a confidential arrangement with the developer. It is NOT FAIR that we, the community have to be constantly defending our neighbourhood from opportunistic developers desperately trying to get approval before Amendment 46 is signed off by the Planning Minister Ms Donna Faragher - but that's the way this undemocratic system works. We object for these reasons - you can too. 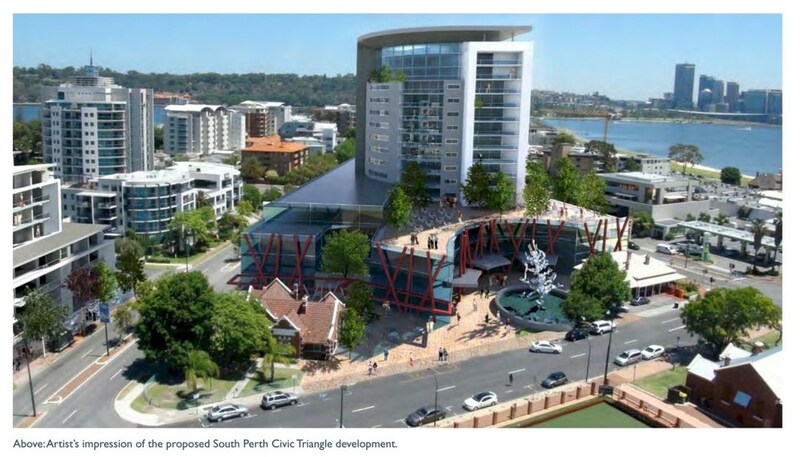 ​• WAPC Directions 2031, the Local Planning Act 2005 and South Perth TPS6 are all very clear on the maintaining heritage, character and sense of place in regard to approving new development. • Mill Point Rd Nth is listed as being a “significant landscape” in the Station Precinct Plan and as such should be treated with sensitivity.The Vision set out in the Station Precinct Plan states that new development and renewal opportunities will be of an appropriate scale and height form, provide an employment centre that is supported by residential development and public transport, that will enhance the scenic qualities of the area and its unique heritage character and there will be a pedestrian-friendly environment all contributing to a rich urban fabric. • There is nothing appropriate, limited or sensitive in this proposal, it would be one of the tallest, largest developments outside the CBD - totally overwhelming the streetscape. • A tower which has mostly floors of apartments to reside, for no matter how long, is still predominately a residential tower and as such extraordinary bonus height cannot be granted. Earlier this year the Supreme Court clarified the “predominately non-residential” purpose as a mandatory requirement in TPS6 & SPSP Plan – it is the law! • It is not for developers to translate that judgement into "50/50% residential and non-residential requirement" . • Playing with numbers and words does not change the fact that an apartment, to live in, no matter the label, will encourage no more employment than one labelled residential. This proposal does not reflect the intention of the Station Precinct Plan. • The Performance Criteria in Table 9 is still not met - nowhere does it say some criteria MAY be met - it says the criteria MUST be met! • Just providing a Traffic Assessment does not mean the traffic is acceptable. The traffic study shows an unacceptable current status, let alone the impact of 1000+ additional car trips every day from this one car centric residential tower. • The combined effect of additional traffic from the nearby approved & proposed towers is totally unacceptable. • The developer provides generous quantities of car parking spaces, yet still claim it as a Transit Oriented Development (TOD). This car centric building is counter to the expectations of TPS6 and will further damage any case for a train station. • The construction of buildings in Charles & Harper Tce has caused the closure of those streets for the last year. The construction plans attached to this DA now clearly show that the impact on the surrounding neighbourhood and the street would be disastrous. It is irresponsible to consider closing even half the road for ~2 years. • The parking requirements and layby areas for Tourist Transport is underestimated. The management of delivery vehicles, furniture removal vehicles, waste removal etc is unacceptable. • What is the Community Benefit of a 34 storey residential skyscraper? Those listed are insignificant and an insult to the community, compared to the massive benefits that will be reaped by this developer. • Imagine 1000+ cars crossing the footpath, aged care neighbours on frames, in gophers, a child care drop off at #64 and #86, people trying to park for the coffee shop - simply trying to walk past the NIL setback podium will be a safety hazard, certainly not an improvement. • Apartment living can be wonderful if the build is of a human scale, if there is open air, green space & recreational areas for all – this proposal does not provide those ideals. • The Energy Assessment is more a marketing document than a review of the building's energy consumption. What should be compared is the energy consumption of this type of building which are renowned as being the worst type of higher density housing. Towers are essentially glass and concrete boxes - it is an inefficient use of energy to heat and cool. Combined with the car-centric nature of the proposal - this is an energy guzzling building. • Commercial advantage should not continue to be given to Edge Developments by accepting their incomplete application – there is still no genuine plan provided by the manager of the Serviced Apartments. • As it is currently impossible to assess the amount of upgrading to electricity, water, sewage and roads, there has been no Developer Contribution Scheme implemented. Consequently those costs will fall totally to the community and both local and state governments - this is not acceptable. • No approvals should be given to developments in this area before an accurate infrastructure assessment can determine whether something of this size can be accommodated. • No-one should be swayed by a few short term construction jobs, but should be demanding reasonable development that is beneficial to the whole community, not just developers. ​Our belief is that this building will still be predominately for residing - which contradicts the Supreme Court Judgement. Amendment 46 - now at the final stage with the planning minister, should remove this area from the Special Design Area and only allow buildings up to 25mts. It would be a travesty to allow something so out of character with the area at the last minute. The Government's Development Assessment Panel members are unelected, unaccountable and untouchable! They are chosen from the private industries of architects, town planners and builders - with many of them having very strong connections and ties to the applicants. The system is unbalanced and favours developers at every step of the process. Too often the community, neighbours and ratepayers are treated with contempt and disdain. A couple of weeks ago JDAP's review of the current application of a 44 storey building at 74 Mill Point Rd was postponed until a comprehensive Traffic Study was completed by council which will enable a better assessment of the traffic impact from this proposed building. The development was opposed by the City of South Perth on various grounds, but most importantly that it is inconsistent with Amendment 46 in relation to the extreme height and nil set backs. One of the overwhelmingly approved aspects of Amendment 46 is that the Peninsula will be removed from the Special Design Area, making any new development there a maximum of storeys. The proposed development of 44 storeys is also predominately a residential building which contradicts Justice Chaney's decision and so would be unlawful. The developers chose to recharacterise some of the apartments as "Serviced Apartments" but it doesn't change the fact that they are places to reside and not work - which is the main objective for the Scheme to allow bonus height. At the review it was even disclosed that the management of the "Serviced Apartments" would be done remotely which even reduces the few minimal jobs that could be provided, leaving a few part-time cleaners - not really what you would call an employment generating development! The whole "Serviced Apartments" pitch appears to be an attempt by these developers to pay lip service only to legal requirements clarified by the Supreme Court decision. In the 10 years before that decision there had been requests to South Perth Council for around 10 Serviced Apartments. SInce that decision was handed down in February developers have magically seen an apparent need to supply more than 400 in South Perth - and we are supposed to believe the spin that this is market driven! But now in another interesting move the developers have applied to the State Administrative Tribunal to review the application because JDAP did not make a decision within 90 days of the submission of their original application. They seem to have overlooked the fact that they had to amend their application in the meantime and so the 90 days arguably hasn't expired since they submitted the required paperwork. We have to wonder why they are not waiting for JDAP to make their final decision? Is it because they are worried that the truth will emerge about just how bad the traffic issues are? ​Given the amount of development and associated parking already approved or in the process, our estimates are that there will be an additional 40-50 kms of bumper to bumper traffic in this immediate area. A lot of the traffic generated from the Harper Tce area will have to use Mill Point Rd Nth to gain access to the freeway, so that it could take residents at 74 Mill Point Rd up to an hour to get out of their driveway (there are more than 3800 car spaces, which estimate 10,000 trips per day in and out of the buildings. 10,000 cars times the length of each car, plus a little space). Is is because they are worried that JDAP is concerned about the building's negative local impact and the lack of employment generation? The application to SAT gives the false impression that JDAP would have approved the building but for unresolved concerns over traffic issues and lack of employment generation. But there were many residents there who recall that at least 3 JDAP members indicated that they did not necessarily support the development application. The developers have raised a legal argument before SAT to suggest that Justice Chaney's decision should be interpreted very narrowly and that you can just count up the number of non-residential buildings and if it is arguably more than 50% you can get your massively intrusive skyscraper approved without needing to justify how it is contributing to employment. Are they hoping that SAT will be fooled by this mischaracterisation of the law? Are they hoping to railroad the SAT process into making a decision before Amendment 46 becomes law and makes this development impossible? Or are they hoping to slow down the SAT process to buy themselves more time to lobby the WAPC and the Minister to ignore the wishes of Council and the majority of the public on Amendment 46? We will keep you posted on the developments with the SAT move by developers. We would hope that SAT will be more alive to any of these tactics and will respect the overwhelming arguments against approving this ridiculously inappropriate development. All we are asking for is that common sense prevails here and prevents long term permanent damage being done to the beautiful Peninsula and South Perth. 14TH MARCH 2016 South Perth high-Rise refused by JDAP!! This afternoon JDAP refused the application for the 38-storey proposal at 86-90 Mill Point Rd on the grounds that it is a predominately residential building and as Justice Chaney said in his decision that does not meet the objectives or regulations of the Town Planning Scheme. Sadly the buildings that already have approval can still go ahead - unless we take each one to a Judicial Review. But from now on there should be no more high rise residential towers. Hopefully the disingenuous way developers are attempting to include Serviced Apartments will be shown up to be a disrespectful loophole. Thankyou to everyone who came down to the review - it really does make a difference for the panel to see and hear the community outrage. We were most impressed with our Councillors Colin Cala and Glen Cridland who did an excellent job supporting the refusal. A big thanks go to a group of our supporters who have been working hard on collating a heap of data on traffic and the lack of a Developer Contribution Scheme. This refusal today will send a very clear message to other developers that they cannot propose buildings with no regard to the wishes and expectations of our community. One more small step in our program to get sensible development in South Perth. 4th March 2016 - and still they continue! 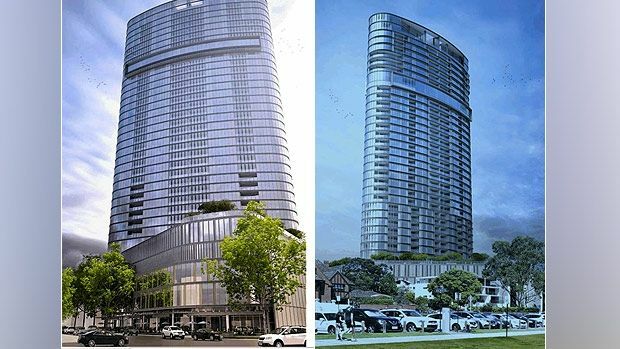 The proposals for mega residential towers continue with the 35 Storey complex at 86 - 89 Mill Point Rd. JDAP will review this proposal on the 14th March 2016 - the proposal states that it complies with the residentail/non-residential plot ratio by calling a number of the apartments -"serviced"
25th February 2016 - A victory for democracy!! The Supreme Court ruled today that the decision of the JDAP last May to approve a 29 storey building in the South Perth Peninsula was unlawful and should be quashed. "The developers have repeatedly tried to mischaracterise opposition to the highrise development as a minority of disgruntled residents", Ms Redden said, "whereas the reality is that residents throughout South Perth, Como, Kensington and Manning have been shocked by these unexpected planning approvals. We were never consulted about residential skyscrapers in South Perth. Our concerns about the incorrect application of the Town Planning Scheme were fully justified." Mr Hogan added "We are not anti-development; we simply want responsible development that preserves the character of the area." 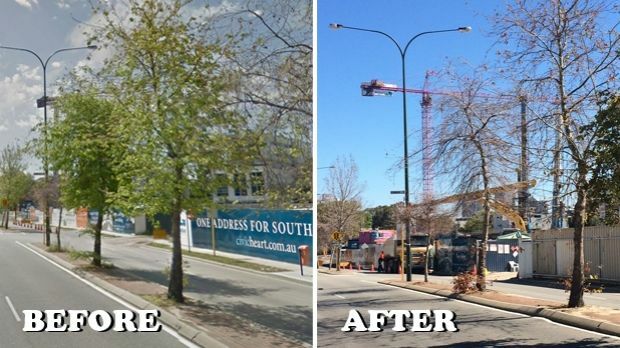 Ms Nairn, who is a law graduate of UWA, a Queen's Counsel and a Council member for the rule of law charity, JUSTICE, said: "It is a sad indictment of the local planning procedures that litigation provided the only available means of redress for the residents of South Perth. We are fortunate in Western Australia that our Courts have the wisdom and independence to protect the public against the unlawful exercise of power through the judicial review process but there is still a need to grant the public a means to challenge the merits of bad planning decisions by JDAPs. There is still much to be done to address the current planning chaos in South Perth." ​In tentatively, the best (or worst) news of the week - the Supreme Court Decision on the approval of 74 Mill Point Rd will be read out in court on Thursday 25th at 9am. We're going to hear the decision - it will be indicative indeed! No matter the outcome we are extremely grateful that Karyl Nairn and Ric Hawley were able to challenge this approval and in our eyes are heroes for standing up for democracy! february 21st 2015 new extreme developments 40, 44 & now 50! We knew developers would attempt to get as many applications in as possible before Amendment 46 is finalised. Below are two - apparently 12 have been submitted in the last 2 weeks. Maybe, as some have said, this is all a game to overwhelm council and try to prove that there is a market for this many apartments in South Perth. Richardson One has ceased construction due to money problems in Singapore and #12 Charles St has just about run out of time to start construction. So not all is well in the property market! Accurate current sales figures are hard to find, but there is much to suggest that there is a glut in the residential market and that pre-sales are not what was expected, so therefore funding will be difficult for many of these proposed towers. There are 900 submissions to council on Amendment 46 - that is a very large number and obviously will take some time to analyse and collate. Council is estimating that it will be April before much is known. February 1st 2016 - you need to make your thoughts known! After the Supreme Court case which reviewed the approval of the original proposal at 74 Mill Point Rd, a 2nd proposal was lodged with council even before the decision has been handed down! Now it is for a 44 storey (142m) mixed used development of 159 apartments, parking for 239 cars on 7 levels and in addition to the residential component, there are 34 serviced apartments! None of these items will stop development or the revitalisation of South Perth, but they will give some certainty and constrain the rampant development "at any cost" that we have seen in the past year. If you would like to read Mike Allens Submission then email us at STSPP15@gmail and I will send it to you - it has lots of diagrams and graphs. The more people there to show their support, the better! It will make a difference! Invite your friends, family and anyone who cares about the ludicrous decisions that the DAPs have made all over Perth in the last few years. Thoughts for SIGNS you may want to create! The press release along with photos, has sent to all major media outlets today. On the same page is a Summary of the Application which will help you understand the action being taken. This planning crisis in South Perth is affecting the entire City of Perth by altering irreversibly the skyline and by setting precedents for ad-hoc, ill-considered planning decisions across the whole metropolitan area. The 'Petition' tab above will take you to an OPEN LETTER that we intend to publish in the West Australian and send to Colin Barnett, John Day and Eric Lumsden. Please 'sign' the letter if you agree with the contents - once for each adult. We haven't stopped fighting yet, so please help us, and other groups around Perth, fighting similar injustice. A huge thank you to all the supporters. We are sorry we couldn't get a better result. We are all very disappointed with the decision by JDAP to approve the out-of-character building at #74 Mill Point Road. It is beyond understanding how any rational planner could have approved this development. The arguments against it were overwhelming but the brutal reality is that there is no defence against stupidity. This decision was made despite strong representation against the development from the Mayor, a former Minister of Planning prominent Town Planners a Lawyer and members of the public. We have lost our democratic rights - we have no recourse - if the Developer had lost he could have appealed - this is not a balanced process! There is currently a Parliamentary Inquiry into the Planning and Development (Development Assessment Panels) Regulations and where anyone can make a submission - it may help if they see so many people against .... yes, it didn't help with JDAP but it may help in the inquiry. The lack of fairness in the process is astonishing. Of course this is a longer term solution; in the meantime we are currently reviewing what other options are open to us. You will notice some letters in the papers, and there are moves to increase the employment of this medium. We will put some more reading matter on the website - including the platitudes from John Day's new "Directions 2031 and Beyond" announcement, which were totally ignored by JDAP, the Council Planners and the Design Advisory Consultants. Thank you all those who overflowed the Council Chamber on Wednesday night, it was a splendid show of support! It is time to do one last push (hopefully). This is the critical one, and we have an impressive list of speakers, and a surprise or two. Each presentation is only 5 minutes, so it moves along quite fast. We just need to keep the momentum going so that Charles Johnson, the Chairman of JDAP feels the wave of community concern and frustration at this project. Remember on Monday we are not complaining about JDAP (don't be tempted to get stuck into them). We must focus only on complaining about the development and the terrible planning confusion in the Peninsula caused by the scheme. There is currently a Parliamentary review into the JDAP process, if you have any complaints that is your best avenue. at South Perth Council Chambers again.